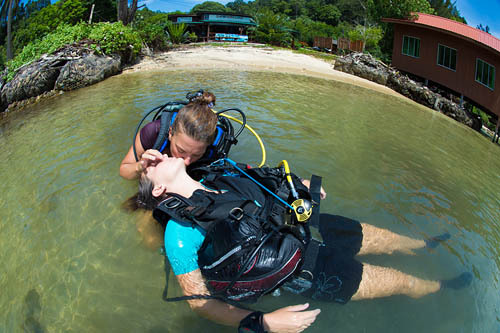 For PADI Courses & Skill Practice! 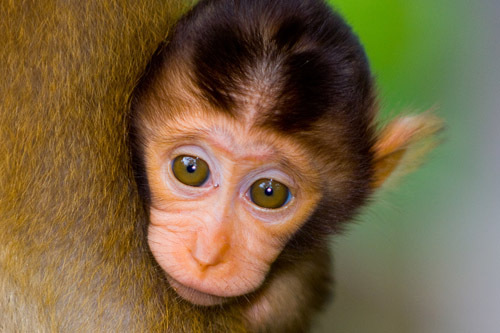 Our PADI 5 STAR IDC Dive Centre Gaya Island is the perfect destination for marine and wildlife lovers! 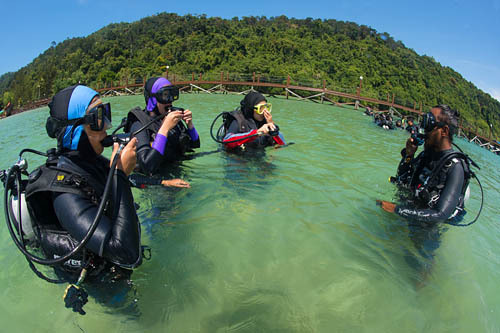 Offering daily Scuba Diving, Zipline, Jungle Trekking, Sea Kayaking & Snorkelling Safaris in the islands of Kota Kinabalu. 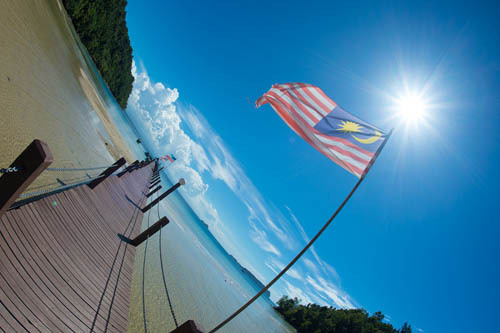 Location is “almost” everything and we proudly offer purpose built facilities on a paradise island in the Tunku Abdul Rahman Park just 10 minutes by speedboat from Kota Kinabalu mainland. 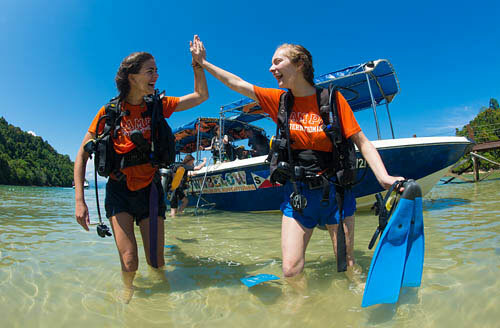 Surrounded by primary rainforest and tropical ocean, visitors can enjoy daily scuba diving, PADI discover scuba diving for first timers, snorkelling and skin diving/free diving. 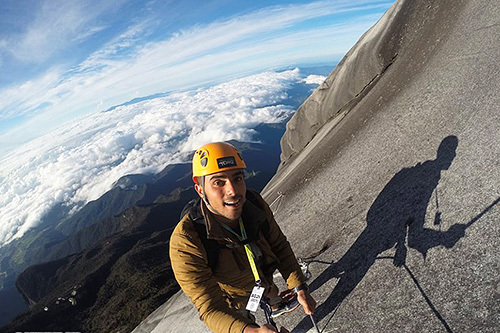 If you prefer to spend your time above the surface, the dive centre also offers trekking, sea kayaking & hiking. 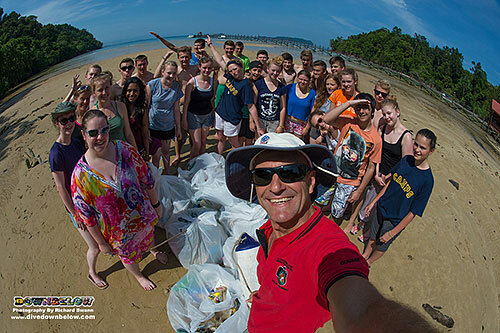 Our Gaya Island dive centre is one of two PADI 5 Star IDC Centres owned by us within the marine park. 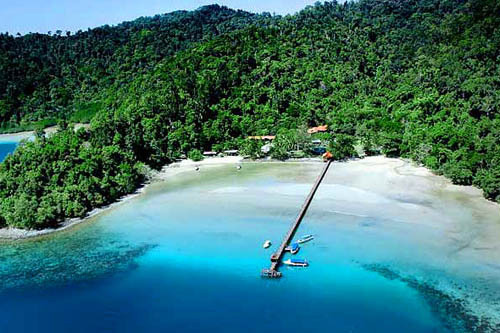 The other is located just 10 minutes away on Manukan Island. 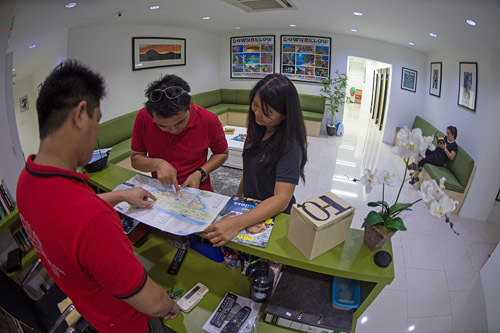 Our clients know that Downbelow represents quality & safety so the diving experience form either one of our dive centres is the same. The difference is what you experience when not underwater. 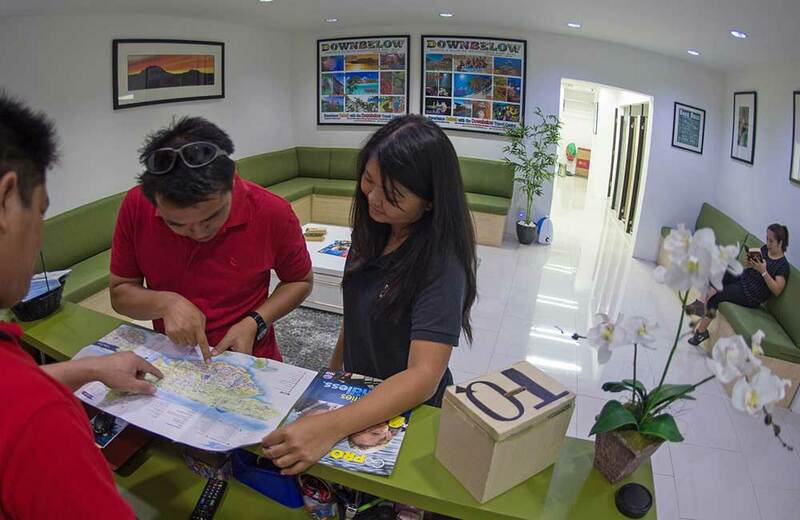 You can read more about the comparisons and choose which PADI Dive Centre offers the experience that suits you better. 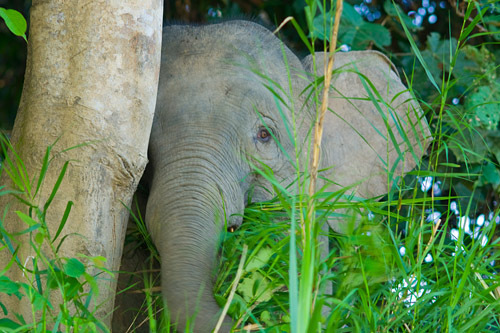 We also offer two centre packages so you can experience both locations during your holiday in Sabah. At 15km², Gaya Island is the largest of the five beautiful islands that make up the land mass of the Tunku Abdul Rahman Marine Park (TARP). It remains un-spoiled and is not on the main tourist route. Primary rainforest forms an ampitheatre around the beach house which is home to a myriad of wildlife including macaques, hornbills, snakes and lizards to name just a few. 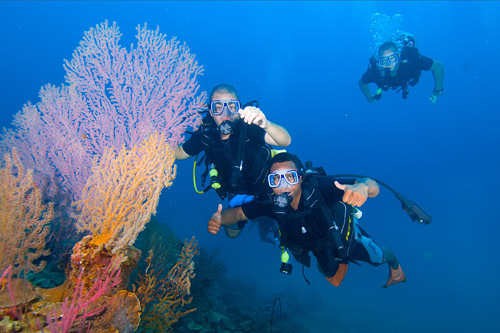 Our dive centre provides a very special experience. We are the only operator at this location so our surroundings are non crowded. Surface intervals between activities are taken on the beach house veranda so even if your family or group are taking part in different activities you will still be together during the breaks. Beside our beach house is a large field used for our camping and sporting activities and we can accommodate large groups for adventure & educational training, yet separate the groups from our daily clients. 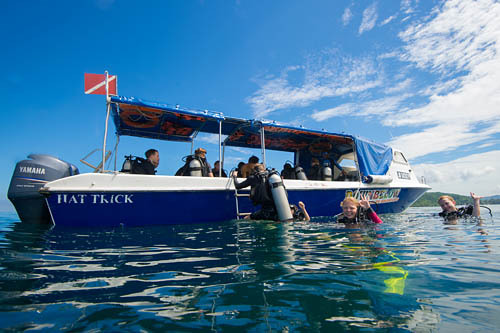 Our dive centre is a full service beach house dive station with 4 fast, custom- built speedboats, 2 air compressors with NITROX, a certified equipment service center plus equipment to easily handle very large groups. 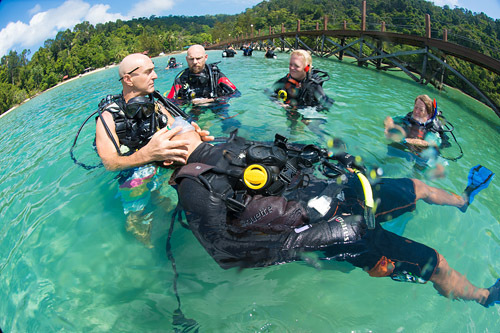 Confined water training takes place immediately in front of the dive centre, which boasts a natural training confined open water lagoon. Open water dive sites start literally a giant stride away from our jetty, with the rest a few minutes away by boat. 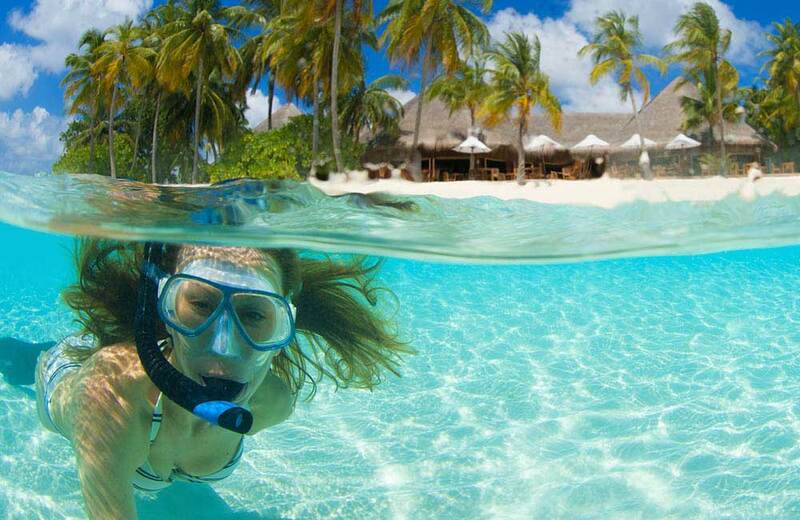 Scuba Diving & Snorkelling the Best Dive Sites in TARP ! Our PADI 5 STAR IDC Dive Centre offers scuba diving and snorkelling trips to all the best dive sites in TARP & west coast Sabah. 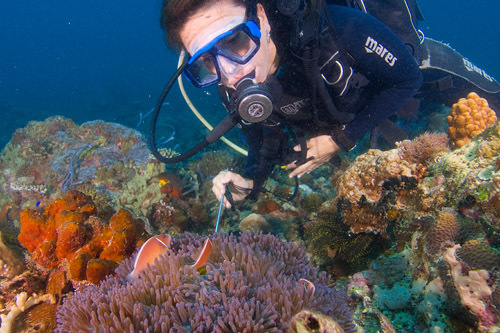 The fun, however, does not stop here as we love to explore, so our dive team regularly journeys farther afield to locations such as Pulau Tiga, Usukan Bay Wrecks, Tuaran, Mayne Rock and Deluar Shoals. Safety is paramount, we adhere to PADI standards and procedures and HSE Guidelines. Our boats are equipped with marine radio, GPS & First Aid kits and our qualified snorkel guides always bring a life ring with them. All our guides are trained in Emergency First Response. 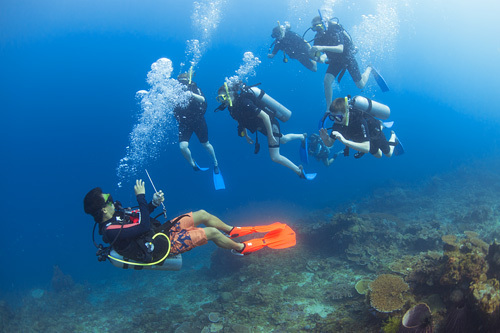 Read more about our scuba diving safety. You will see from our marine biology pages that we have spent many years photographing and studying the creatures that inhabit Sabah’s surrounding waters. We love to share this knowledge and explain a little of how this marvelous ecosystem works. 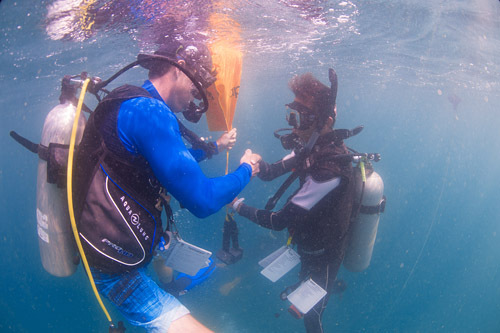 When you choose to dive with us, we don’t just guide you. You embark on an adventure and you’ll see some of the most amazing underwater creatures. We have a second PADI 5 Star IDC Dive Centre based on Manukan Island. 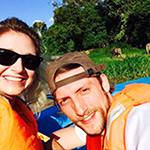 Here we offer exclusive Stay & Scuba Dive, Stay & Snorkel Safari packages. 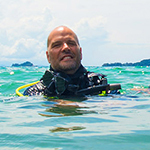 All images are photographed on location Platinum PADI Course Director and our MD Richard Swann.